Aside from the fact that I LOVE a good robe and will wear one at any given time of day, wedding robes are such a thing. They are a sure bet gift for your bridesmaid and a gift that gives back to the bride because they make the "getting ready" photos so beautiful. As so often happens, I stumbled across Doie Loungeon one of my Instagram searches for beautiful things, and fell in love with both their luxury line of robes and the story behind them. The line is designed by newlywed, Cali native and TWELVE-time bridesmaid, Sara Kirsner so it's safe to say she knows a thing or two about what looks good and what feels good. Named after Sara's grandmother, who even in her 90s was always impeccably dressed, Doie adds a touch of comfy glam to wedding prep. 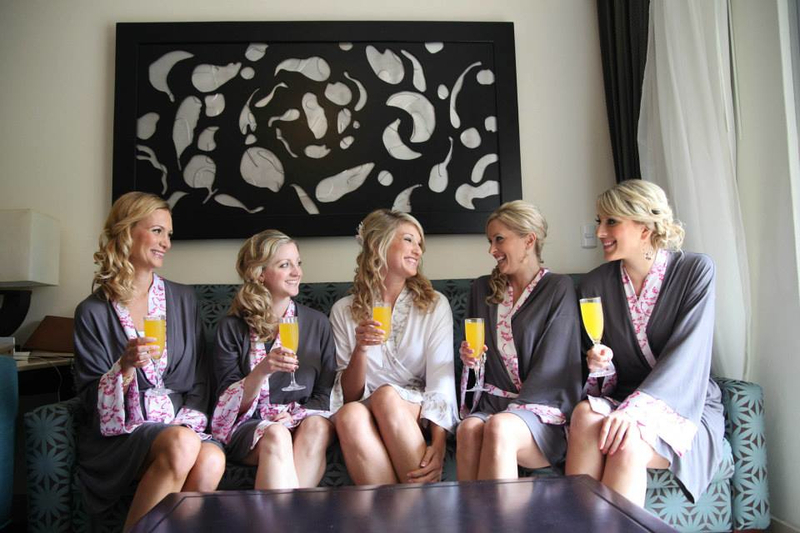 Most importantly though, the robes are designed so that the bride and her maids will actually wear them again. 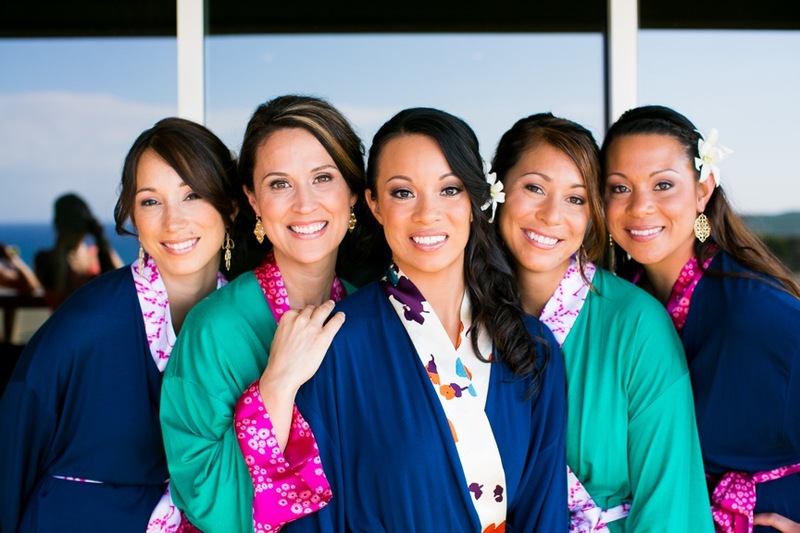 Each robe is incredibly soft and there are 18 choices with fun pops of color in patterned silk. A destination wedding line is due to arrive in November, 2016. Wardrobe malfunction free, they also have outer silk and an interior tie so they won't slide off unexpectedly. All robes are made from high quality, earth-friendly fabrics, and are produced in Los Angeles. 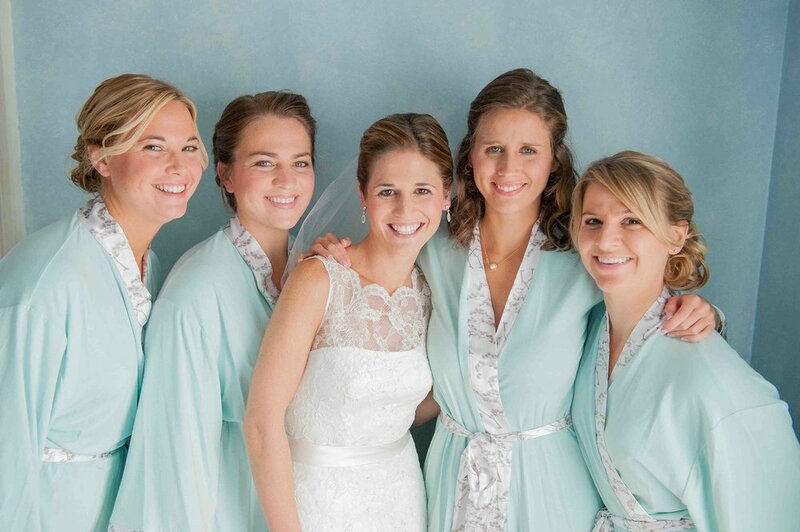 Prices start at $136 per robe, but brides take note-- there are discounts for buying in bulk (aka for your bridesmaids too), and right now you receive 20% off any robe (or bulk orders) with the code HITCHLIStat checkout. My personal favorites are the Sophie and the Lillian for brides, and for bridesmaids: the Paige for Spring, Summer or Tropical Destination Weddings, the Willa for Fall, and the Audrey for Winter. See more wedding pics below and here. Posted on October 8, 2016 by Alexandra Hynes and filed under Style and tagged Bridal style Bridal robes Bridesmaid gifts Doie Lounge Wedding designer Designer Luxury.